October 19 – Having failed with two attempts to land the FIFA presidency, Jordan’s Prince Ali Bin Al Hussein had decided he has had enough of being involved at the top end of football’s often bitter and divisive political bureaucracy in order to concentrate on trying to use the game as a tool for social development to help deprived communities. Prince Ali famously ran for the top job at in 2015, losing to Sepp Blatter, and tripped up again when he was beaten by Gianni Infantino, who will stand for re-election next June. He does not intend to try and make it third time lucky, or contest Asia’s upcoming regional elections, instead focussing on expanding his charity project worldwide. Earlier this month Prince Ali was in London to announce that the non-profit Asian Football Development Programme which he created and which has supported a number of projects throughout the Continent was being expanded to become the Association Football Development Programme (AFDP) Global. Partners will include War Child UK, which helps former child soldiers in Africa, the UEFA Foundation For Children and streetfootballworld. 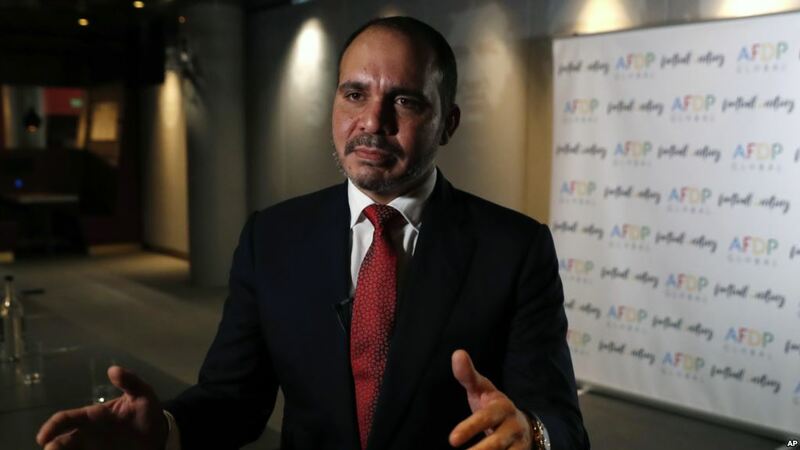 While the organisation’s original focus was on grassroots initiatives in Asia, Prince Ali, who is restricting his administrative roles to the Jordanian FA and the West Asian Football Federation, explained why has decided to take his pet project global. The sprawling Zaatari refugee camp in Prince Ali’s native Jordan, visited a few years ago by this correspondent who witnessed first hand how football is being used to help the lives of thousands of displaced people from Syria, was recently praised by UEFA president Aleksander Ceferin. “It’s an unfortunate situation but I’m very proud of what it has become,” said Prince Ali. “I have always believed that football is much more than just a game and can be a force for uniting people in every country and context. I’ve seen how football shapes characters, creates leaders, and helps young people to overcome barriers and pursue their dreams and ambitions. “One thing I learned while running for FIFA president was understanding the challenges facing football across the world. When I went into FIFA and asked about football and people with disabilities I was told: ‘It’s not our concern – that’s for the Special Olympics it’s not our business.’ I thought that was a shame. “Through AFDP we are proud of the change that we have already achieved in Asia by using the transformative power of football – from watching children rebuild their confidence on the football pitch in the Jordanian refugee camp of Zaatari to making it possible for girls and boys in Malaysia to play football and take part in tournaments safely, to our successful campaign to overturn FIFA’s ban on girls and women wearing a headscarf.